Using time-out has become a regular disciplinary method that most parents use, but is it really effective? How many times have you put your child in time-out for misbehaving only to have him do the same thing you told him not to after he’s done with time-out? Who hasn’t struggled with making a toddler stay in time-out? You keep on putting him back but he keeps leaving the time-out space and pretty soon it’s turned into a game for him and frustration for you. There’s actually a very good reason why time-out doesn’t work. Young children under 5 find it extremely difficult to control and regulate their feeling. So when they are asked to go to time-out and clam down they simply can’t do it. Whatever feeling your child is going through at that moment just seems too much to handle for him. He needs you to help him, he simply can’t do it alone. Another reason is that children need immediate consequences to help them learn. Prolonging punishment isn’t really going to help you emphasize your point. When a child is asked to go in his room and “think about what he’s done” that doesn’t give him any idea as to what he did wrong or what he could have done instead. Young children are still learning and exploring, everything is new to them. 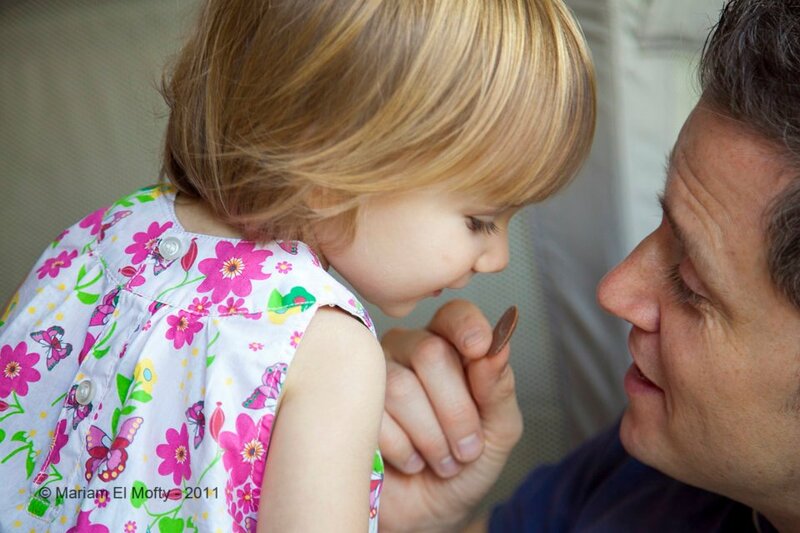 What might come naturally to you may be a skill your child needs to be introduced to. This doesn’t mean you should be permissive with your child and just let him do whatever he wants. Time-out can also be an effective tool when used positively. Use time-out as a calming space and not punishment. Don’t leave your child alone in time-out and don’t associate it with something negative. Instead provide your child with support and comfort to help him recognize his feelings, listen to why he misbehaved, discuss with him why his behavior was inappropriate and explain the kind of behavior you expect from him. 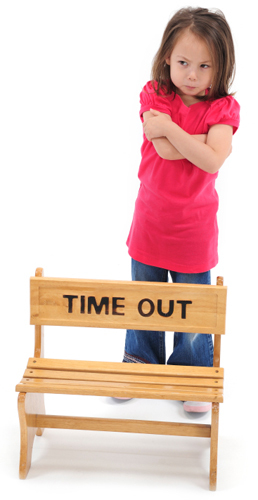 With repetition time-out can become a place for your child to regulate his feelings. Instead of threatening to send him to time-out you can enable him to use time-out to calm himself. If you start seeing signs that your child is feeling frustrated and agitated you can ask him if he needs some time-out. As your child grows older and learns to regulate his emotions on his own he can use time-out by himself. Don’t overuse it. Like anything else don’t resort to time-out every time your child misbehaves. Find out why your child is misbehaving or feeling frustrated and choose an appropriate solution for that specific situation. Distinguish between your child’s behavior and your child. Avoid using words like “stop being naughty”. Labeling your child tells him what to think of himself not his behavior. Instead explain what behavior was wrong “stop jumping on the sofa”. You want to send a message about your child’s behavior not himself to help him find an alternative and maintain his self confidence. Around the time your baby becomes mobile, discipline issues start becoming a daily concern. Parents find themselves correcting and punishing their child more often to keep him safe, clean or stop him from destroying something. Most of us find ourselves suddenly saying “No” much more often which usually leads to tantrums and tears (from both parent and child). Are there alternatives? Yes! there are ways you can correct your little one and avoid these daily conflict situations as much as possible. The answer is positive discipline. Punishment is based on causing some discomfort, fear or loss for the child which forces him to do something. However, it doesn’t tell your child “why not?” or the alternatives. Positive discipline is about teaching your child, helping him understand his boundaries, abilities and encourage him to communicate with you and think for himself. Your child will learn to view himself and the world through the experiences he has with you! What he learns now will set a pattern to how he acts as a teenager and adult. That’s what makes these early years so important in developing the child’s ability to make choices and communicate with others. So why do children misbehave? They feel inadequate: children naturally start developing a need for independence around 18 months which is great for their self esteem. However, if too much is done for them they start believing that they can’t do it. Power struggles: another factor of feeling independent, children start defying parents and saying “No” back. Conflict most often occurs when parents are inflexible and too strict. While strict rules may sound good now, think about this: do you want a weak-willed child? Attention: If your child mostly gets attention when he misbehaves, he will continue to misbehave because this is the way he knows to get his parents’ time and attention. Make sure you compliment your child in the positive situations as well to show him there are alternatives to getting your time. Set few clear rules. Rules are needed to let children know what they can and can’t do. Let your child know the limits and explain the consequences. Setting few rules makes it easier for your child to remember and follow. Prioritize safety rules like not touching the oven or crossing the street alone. Get down to your child’s eye level. This makes it easier to get and maintain your child’s attention. Most likely when you’re shouting out something overhead your child will have completely missed that you’re talking to him. Take a moment before reacting. If your child is misbehaving there is no need to jump in right away unless he is harming himself or others. Giving yourself a few seconds to grasp the situation and approach it calmly can make a world of difference. Remember to keep your voice firm but low when speaking to your child. Provide an appropriate environment. Your child may sometimes have difficulty controlling his impulses so make sure your setting is child friendly. Put away tempting objects and bring along a story or box of crayons when going out to give your child age appropriate alternatives. Express yourself and offer alternatives. Use sentences that express how you feel. “I can’t read the paper when you crumble the pages. You can get your story and read next to me”. This way you’re expressing yourself positively and sending a clear message to your child. At the same time you are offering an alternative which will redirect your child to an activity that is appropriate for the moment. Offer Choices. Giving your child choices fosters that feeling of independence and enables your child to make decisions. “You can have your bath now or after dinner”, “Do you want your blue T-shirt or the red one?”. Try to limit choices to just two items at this stage to avoid confusion. NEVER use physical punishment. There is absolutely no benefit from using physical punishment like spanking to discipline your child. This method instills fear and low self esteem in the child instead of an internal ability to be good. It also teaches him that this is an appropriate way to handle disagreements and as an adult may result in abusive relationships between spouses or friends. You need to realize that children are different; each child has a different personality and temperament. There is no “one rule fits all”. As parents, you need to look at your child(ren) and adapt what works best with his character. Your toddler isn’t out to get you! It may seem that your child “just isn’t listening“, however you should know that at this age impulse control is still a developing skill and is very difficult for your child to control. Take time to reflect on your parenting strategy; how is your current communication with your child? do you find yourself saying “No” and yelling more than you would like? I hope you find this information practical and useful in your daily life. Let us know what experiences you’ve had with your own child. Children’s misbehavior is often unintentional or has a reason behind it. A child’s natural way of learning is exploring. Everything is new for them and the one way they can figure things out is by trying. Children get a lot of feedback on their behavior by how we (adults) react. If something gets minimal attention it’s likely a child won’t do it again unless he personally enjoyed it. On the other hand, if he gets your attention then he’s figured things out! It’s the same reason we naturally clap and make a big deal when baby takes his first step or says his first word. All that encouragement tells him he’s doing something right. It also has the same effect when we react to misbehavior and say “No!”. You’re thinking “I can’t say No??”. That’s not what I’m saying. Using “No” is an effective way to immedietly get your child’s attention and have him stop what he’s doing..for a minute..then what? Let’s think of this from your child’s perspective; he’s banging with the spoon on the table. It’s a new experience and the sound is interesting and he’s doing something. Here comes Mommy, I’ll show her what I can do…Bang! Bang!…I’ve got her attention now! Naturally you reaction is to stop that annoying banging, anyone would do the same. You say “No banging with the spoon!”. He stops for a second, looks at you with his spoon midair, it looks like he got the message but a second later he’s at it again. While “No” sends a message to your child to stop, it doesn’t tell him what to do instead. This is where redirection comes in handy. Even after you’ve told your child to stop banging the spoon, he’s still interested in doing that. Show him what he can do instead. Swap the spoon for something with a soft top or show him how to bang on something less. Using redirection once doesn’t mean your child will get the message right away. Keep at it and redirect several times. Children learn through repetition and patterns. The more consistent his experience is, the more he’ll understand what behavior is acceptable and what isn’t. It all depends on what you are distracting your child from. If your child is doing something that can harm him you have to be firm and remove him immediately. Safety comes first. However, in everyday safe situations you can gently redirect your child to a more appropriate activity. Offer choices. This can help your child accept the new option. Limit choices to two acceptable options to make it easier for your child. Model acceptable behavior. If you don’t want your child throwing things then think twice about tossing your keys, the TV remote or a pillow at your spouse. Watching and learning is one of the key ways children lean about social interaction. Remember, don’t use food as a reward or distraction. Food is a basic and necessary part of our lives which children should learn to use in a healthy manner. Avoid using it as a form of emotional replacement or an alternative activity. Remember that each child is different. What works with your friend’s child may not work with yours. Your child is unique so try to find out what he enjoys so you can redirect him to an acceptable activity that will match his interests. Why does my child still misbehave even when I tell him to stop?